The Triangle real estate market is dynamic and competitive and often leaves even long time residents wondering about the latest developments and market fundamentals. You need a real estate expert who understands this market and can give you professional guidance to help you make the right decision for what is most likely going to be your biggest and most important investment. 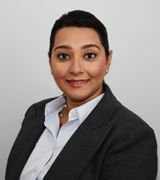 Fathema Matcheswala has been a Realtor© in the Triangle region of North Carolina since 2013. She worked and trained with prominent area real estate firms before starting her own company, Wake Realty Inc. in August 2016. She has helped hundreds of families like yours buy and sell homes. She has provided guidance to first time home-buyers, who seek her advice for everything related to their dream home, from educating clients about the area, to finding a home that fits their budget. She also provides guidance to seasoned real estate investors who seek her advice for her negotiation skills and knowledge of the local rental market. Although her primary focus is residential real estate she has also closed several commercial real estate deals. If you are a first time home buyer, looking for a real estate professional, who will guide you every step of the way or you are a seasoned real estate investor looking for expert advice on Triangle real estate market trends, you will find Fathema to be the best source for your real estate solution.